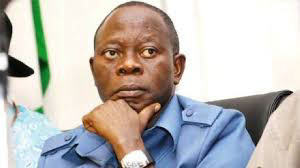 Former governor of Edo State, Adams Oshiomhole, has promised to ensure party supremacy if elected chairman of the ruling All Progressives Congress (APC). The party holds its national convention on June 23 in Abuja to elect a new leadership and Mr Oshiomhole is the front runner for the office of chairman. He said if he does win, he would ensure President Muhammadu Buhari and other government officials bow to the dictates of the party. He was speaking in Abuja on Wednesday at an interactive session with young members of the APC. “The whole idea of seeking election on a party platform is that there is a burden of ideas to be shared and that bind us together. “To my recollection, we haven’t had any serious platform as a party where the agenda was to debate policy options and choices attached to each policy we fought for. He stressed it is the duty of political parties, particularly a governing party to set policies on how society is run. He condemned the promotion of ethnic and religious matters by major political parties in the country. 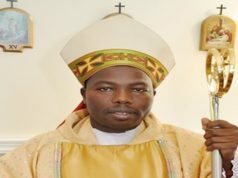 “I think that we are in a situation that the only thing that commands banner headlines in our media today are more of issues of religion and ethnicity. The aspirant also expressed confidence in the chances of the APC at the next general elections.